I like old wines and Chris generally prefers young fruit forward styles of wine. My friend Dave likes the older ones too and we recently invited Dave and Heather over for dinner. 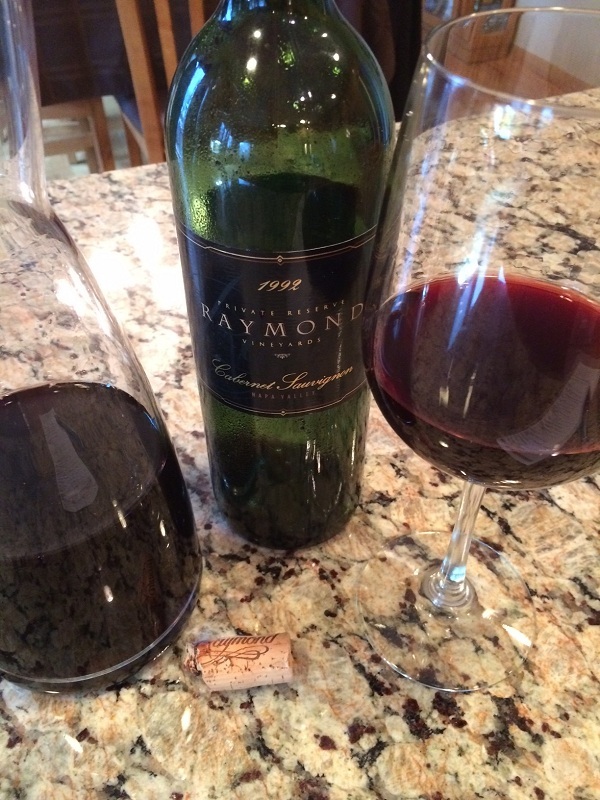 Chris had prepared Jambalaya for dinner and I figured Dave thought an older wine would pair well with it. Had the Jambalaya been spicy the wine choice would not have been as good, so fortunately for us this dish was pretty mild. I did not add any spice until after I had sampled it along with the wine. Dave was a little nervous with the wine at first. He had peeled the foil and could see wine seepage all the way to the top of the cork. Once he started inserting the corkscrew the cork started pushing in so we ended up using an ah-so. He was able to insert the tool all the way down but unfortunately, the lower part of the cork broke off and we had no other choice than push the remaining cork into the bottle and I grabbed a filter and we decanted it. 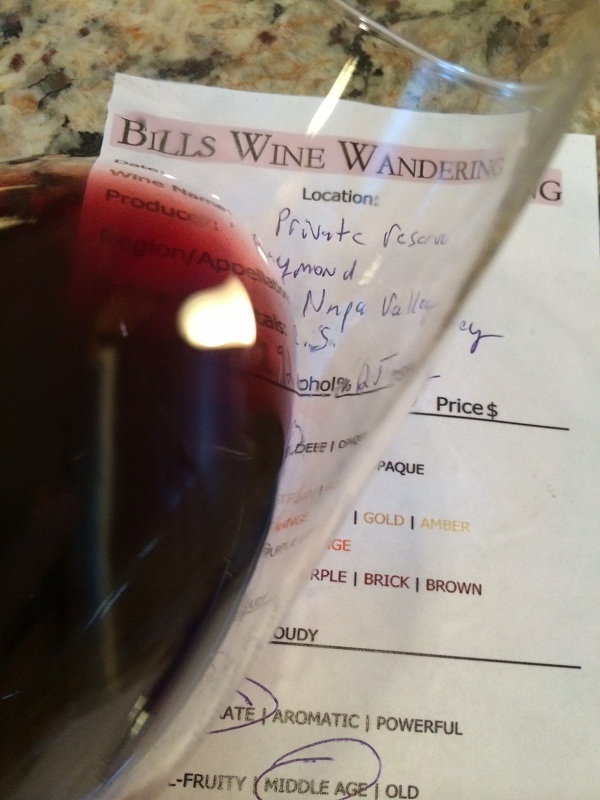 The Cabernet had a medium color depth, slightly cloudy with a garnet hue. The aromatics were moderate, smelling middle-aged. We could smell spice, black licorice, oak. This wine was still slightly dry with medium-bodied and was tart. The tannins were medium and slightly astringent and it still had life in it. There were a mid-palate start and a long dry finish. I enjoyed the flavors. 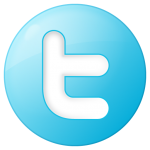 How much: ~$35.00 from wines till sold out on-line. 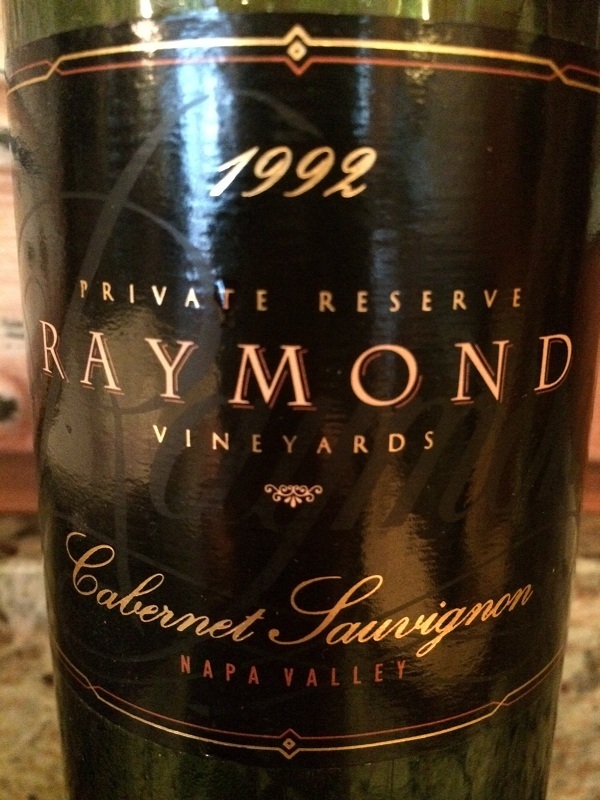 I rated the 1992 Raymond Vineyards Private Reserve Cabernet Sauvignon three glasses.